Office staff was very flexible. My kid's field trip ran late, so I gave them the play by play to letthem know we would be 30 min late. Outlined all the steps, and discussed options. Even though we were the last appt of the day, you'd never know it. Office staff was very flexible. My kid's field trip ran late, so I gave them the play by play to let them know we would be 30 min late. Outlined allthe steps, and discussed options. Even though we were the last appt of the day, you'd never know it. I love the views from the office, the "open" atmosphere. Dr. Monica Madan, made the best suggestions for our situation andwe got amazing results. Her and the other Doctors and staff are knowledgeable and friendly. I highly recommend. I love the views from the office, the "open" atmosphere. Dr. Monica Madan, made the best suggestions for our situation and we got amazing results. Her and the other Doctors andstaff are knowledgeable and friendly. I highly recommend. Dr. Madan has been setting the highest standards of excellence in orthodontics since 2003. 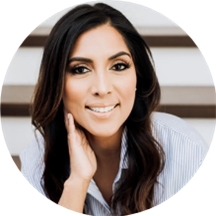 She earned her bachelor’s degree from Brown University and her Doctor of Dental Surgery (DDS) degree from the University of Southern California School of Dentistry before finishing a specialized orthodontic residency program at the University of Washington. An esteemed member of the orthodontic community, Dr. Madan has been published in the American Journal of Orthodontics and Dentofacial Orthopedics, and is an active member in many top dental organizations, including the American Dental Association, American Association of Orthodontists, California Dental Association, Pacific Coast Society of Orthodontists and the Western Los Angeles Dental Society. In her spare time, Dr. Madan enjoys traveling, dance, tennis and theater. She is married to Ashish Ajmera and has a daughter, Nicola, and a son, Nathan.